Check back often to see who we’ve signed to our roster and what books are being published and promoted! Nashville, TN (April 18, 2019) – AN UNEXPECTED CODDIWOMPLE finds its home at W. Brand Publishing. Thompson’s true story takes the reader on a journey from the U.S. to the U.K. through her father’s letters written during his tour of duty in WWII. She weaves these accounts into present day as she and her six siblings “meet” a father they never knew due to his unexpected death. The readers also meet the brave man, “Big Sundin,” who piloted a perfect ditching which was the reason her father and the entire crew lived. Family, faith, duty, and transformation make this a love story that transcends generations. AN UNEXPECTED CODDIWOMPLE is set to release the Tuesday after Father’s Day, June 18th and will be available for pre-order in early May. Nashville, TN (April 15, 2019) – FOUR COLOUR COMBAT - Canadian Forces in War Comics, by Cord A. Scott releases April 16, 2019. Comic books transcend time and space. Regardless of one’s language or age, comic books transport the reader into the action through exciting four colour graphics. Centered around Canadian war stories within American comic books, the comics featured in this book present a unique spirit and play a colourful role in popular culture and history storytelling. Scott’s additional historical commentary on the war effort gives the reader a preview and insight into stories about Canadian war heroes that many Americans have never heard. “While the American comic books dominated the overall North American market, comic book creators on both sides of the border recognize the gallantry of Canadian Armed Forces personnel from the start of the war in 1939,” Scott states in the book’s conclusion. Books will be available for order on Amazon.com, bn.com and in select bookstores, libraries, and museum gift shops. Nashville, TN (March 12, 2019) – PURPOSE POWER, by Alicia Bonner Ness is available now in Hardcover, Paperback and Kindle formats on Amazon.com. PURPOSE POWER inspires action. Whether starting a movement, while building a mission-driven brand, or rebranding an organization with a storied history, this book will inspire new possibilities. The Heptagon Method, a seven-step framework outlines the process of taking big ideas from ideology to action and reveals how to motivate allies to become advocates for the cause. This book clarifies the strategic sequence of action required to catalyze a movement. Infused with instructive elements from the author’s heartfelt life story, PURPOSE POWER illustrates the incredible capacity of narrative to shake advocates, volunteers, and donors out of apathy into action. Stories lead us into a new perspective to clearly see what matters–to become champions of higher purpose. PURPOSE POWER offers a much-needed message of hope–failures are only learning experiences on the path to success. Alicia will be co-facilitating “How to Connect Across Ideological Differences” along with Drisana Hughes, member of the Serve America Movement and Zach Wamp, former Tennessee Republican member of Congress, during the March 29th - 2:15 pm session of Unrig Summit Nashville. Nashville, TN (February 14, 2019) – FACING THE ELEPHANTS, a new memoir released February 12, 2019, by first-time author Rebecca Black ranked #1 in Women’s Health, #2 in Memoirs, #79 in Non-Fiction and #636 in overall. Rebecca will be at the Wheatmark booth for the Tucson Festival of Books March 2-3, 2019. She will be signing books and sharing her story. Nashville, TN (February 12, 2019)–FACING THE ELEPHANTS, a new memoir released February 12, 2019, by first-time author Rebecca Black takes the reader on an emotional journey through health, relationships, childhood trauma, and elephants. Her story starts as it appears to be ending, on the ER operating table–dying three times. Death is just the beginning of her health battles culminating with her diagnosis of having the BRCA gene. However, her physical health issues were only a part of her battle. Health issues plagued Rebecca her adult life and compounded with bad romantic relationships and PTSD flashbacks from living through horrible childhood trauma. 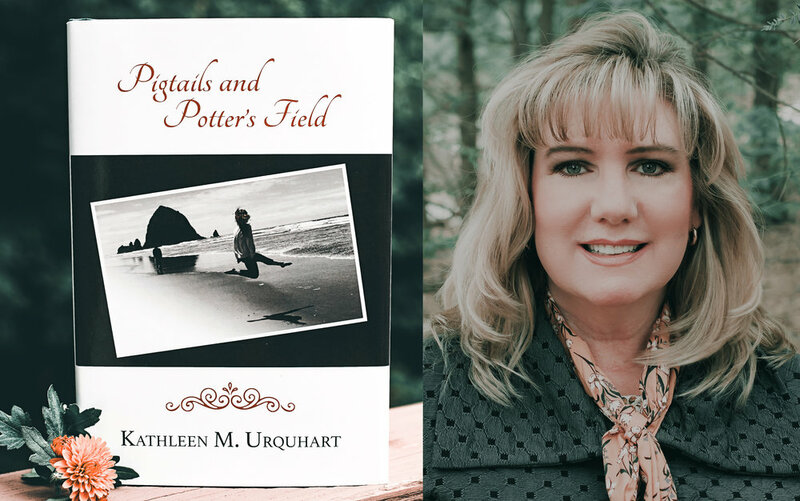 Her life was a roller coaster of health and emotional issues–she found the love of her life, only to be plagued again with the heaviness of life once more. When it seemed she would never be able to work a regular job again, she found a strong spiritual connection with a family of elephants while she volunteered at the zoo. It was the peace and love she felt through the attachment to this “family,” coupled with finding the right psychiatrist that has put her in a place of rebirth today. THANK YOU TO ALL WHO DONATED! This campaign is now over but please help other woman-owned businesses raise funding through ifundwomen. Our W. Brand Publishing Crowdfunding Campaign is officially live on @iFundWomen. We are raising $75,000 to publish and promote writers who have positive stories that may be overlooked by traditional publishers. As a female entrepreneur of a women-owned company, my team and I are so excited to raise money for our business on a platform that supports women. We only have until January 4 to reach our goal so the clock is ticking. Please consider contributing to our campaign - anything from $5-$2500! We are so grateful for your support. Nashville, TN (November 1, 2018)– Independent book publisher, W. Brand Publishing signed its fourth author since the company’s formation, August 7, 2018. Antonio Brinson will tell his story of trials and triumphs through award-winning editor and co-author, Katara Patton. Brinson joins Alicia Bonner Ness, Rebecca Black, and Kari Wiseman to make up the current roster. All books are set for release during Q1 and Q2 of 2019. In addition, W. Brand Publishing is promoting two self-published authors with releases in early 2019. “We knew the stories were out there and they needed to be told. So, we focused on writers with uplifting stories that personally connected to readers. We are blessed with the opportunity to bring their stories to the public,” expressed JuLee Brand/Publisher, W. Brand Publishing, regarding the company’s early growth. W. Brand Publishing is currently accepting story submissions. Writers should make initial contact through the company website or Facebook page. Self-published authors needing assistance with production and promotion should connect the same way.